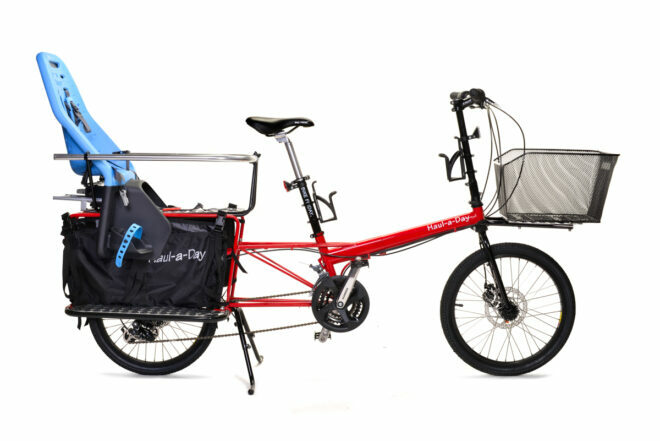 Haul-a-Day; the versatile and agile cargo bike from the USA brand Bike Friday. 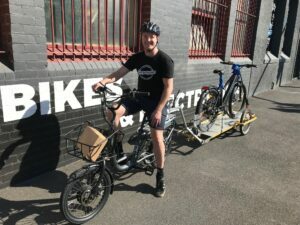 Made to order in Portland Oregon and shipped right to our store in Melbourne. You want freedom from your car. You want your bike to carry your groceries, take your kids to school, haul bags of dirt for your garden or carry lumber for your weekend project. 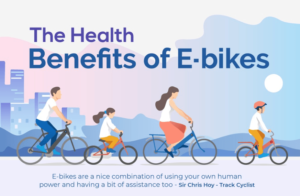 You want your bike to fit your body and be able to adjust to fit friends and family or anyone else when you want to share it with. 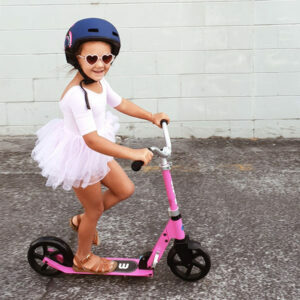 •Frame adjusts to fit riders 4’6″ to 6’4″? •The lightest long-tail Cargo Bike built today, starting at just 33 pounds (15 kg).? 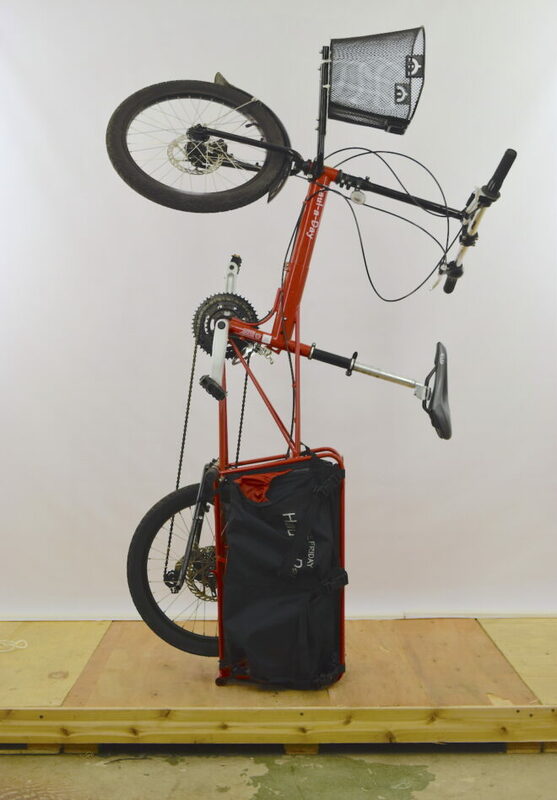 •Its compact size makes it easy to store, stands upright on its rear end for a very small footprint? •It can be disassembled into three pieces for packing? •Rider weight limit is 220 pounds (100 kg), heavier rider upgrade available to 260 pounds (118 kg)? 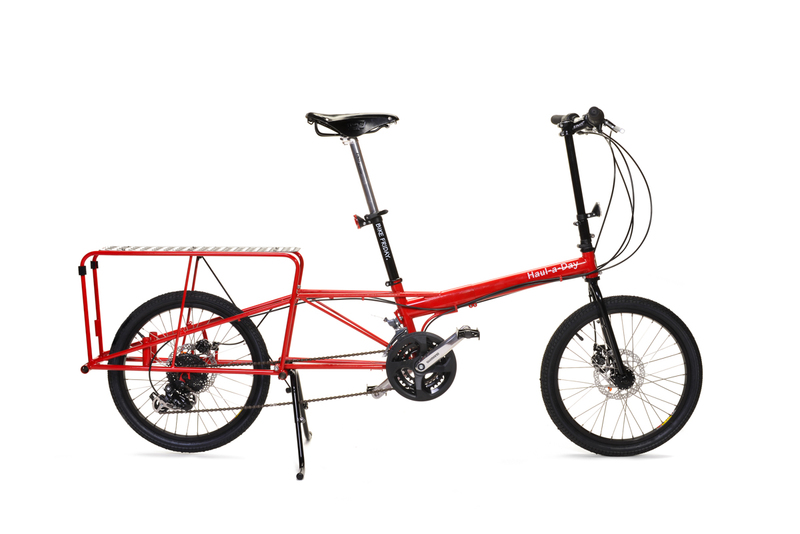 •Cargo weight limit 200-pounds (90 kg), heavier load upgrade available to 250lbs (113 kg)? •Fits on many transport racks: bus, car, and train.? •Gears from 8 to 27 speeds?